Gaming laptops can produce a lot of heat, especially if you play games for long periods of time. Thermal compound wears down and can cause other problems. Some good tell tale signs your laptop (or desktop) is overheating is random black screens, artifacts on the screen, random reboots, and usually the fans will kick on high. In the photo above is an Alienware R15 (2015 Model) and you can notice that just under 1 year of ownership the thermal compound has turned into chalk and is no longer doing its job. Depending on how many hours per day you play games like DOTA, League of Legends, Overwatch, World of Warcraft or anything else 3D intensive, you will need to keep an eye on what your laptop is putting out for heat. 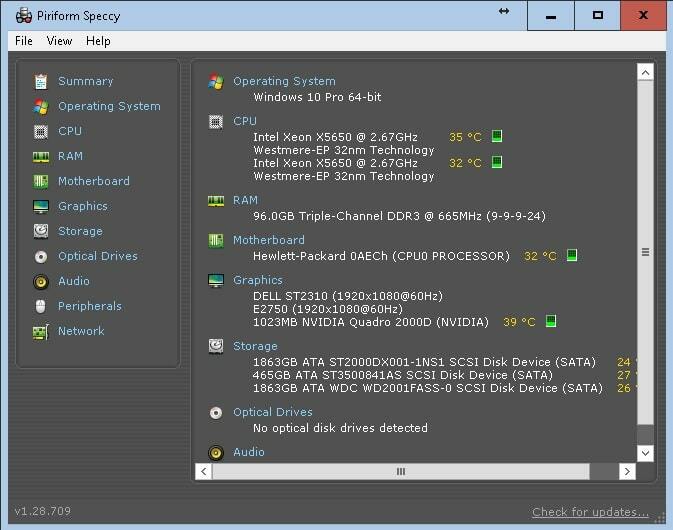 As the heat rises, the laptops built in sensors tell your machine to drop the speed of critical components that directly affect its speed such as the Central Processor Unit (CPU) And your Graphics Card (Graphics Processor Unit or GPU). Get hot enough and you can blow a chip and turn your $1000 + machine (in the Alienware’s case $3000) into a brick of depression. As you break down into tears you look back and think of what you could have done to prevent having to get a part time job to replace everything. I’ll show you some things to check below. You’ll want to check this every few months to make sure your temperatures are within range. Some laptops run hotter than others, while most laptops CPU & GPU want to see around 40C-50C at idle temperature. Dangerous temperates start in the 80C range. If your machine is running close to 80C or higher, you’ll want to shut it down and check your cooling system immediately as it it can cause premature board failure. This applies to Desktops as well as laptops too. You’ll also want a decent brand of thermal paste, because it will transfer heat more efficiently than some of the cheaper brands. Your laptop will need to come apart, and this can range from easy to difficult if it’s your first time and depending on the machine. If you need help cooling your machine down, stop in and we will take care of it. We service all major brands in our North Windham, Connecticut Facility. We’re qualified to work on Alienware Gaming Laptops, Dell 3D Modelling Workstations + Precision Laptops, Lenovo Gaming, MSI Gaming Laptops, ASUS Gaming Laptops, Custom SAGER laptops, ACER Gaming Laptops, and Apple machines.